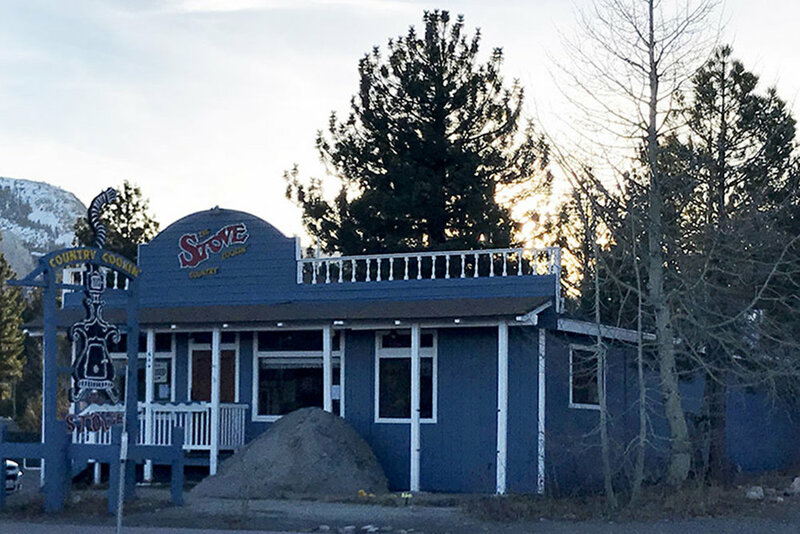 The Stove is a true greasy spoon—and Mammoth locals and visitors wouldn’t have it any other way. The distinctive blue building on the south end of Old Mammoth Road is always hopping on weekend mornings, and offers cozy wooden booths in which to sit and enjoy massive skillet breakfasts, pancakes, and classics like country fried steak. They’ve also got thoughtful options for the gluten-free and light eater crowd, like Greek yogurt with fruit and GF granola. The Stove serves lunch, too, as well as fresh-baked pies and an out of sight apple bread pudding with whiskey hard sauce. Get it a la mode. Owners John and Victoria Farber continue the Mammoth tradition of The Stove—the joint’s been around for over 40 years. It’s the kind of place where the old-timey cooking equipment on the walls starts conversations and the servers run circles around your table, never forgetting to refill a water or a coffee. The Stove is great for families, especially since it’s located adjacent to Mammoth Creek Park West, which features a playground, big grassy lawn, and stunning view of Mammoth Mountain to the west, as well as a babbling creek by which to sit and digest your food. Park there and stroll over to The Stove if their small parking lot is too full.